I've been lucky enough to receive some garments from FucknFilthy's new range, for a photo shoot, modelled by me, organised by Joshua Gordon and photographed by Ash Kingston. They're a brand new label focused on creating clean, modern illustrations and prints. They have had sales all over the world. 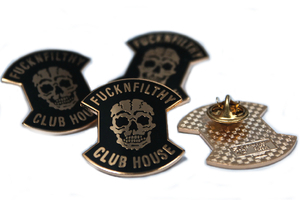 Since the launch of FucknFilthy clothing back in 2010 the majority of pieces have quickly flown out with sales spanning from Tokyo to Paris & from London to New York.